Announcing the Bullseye Gate 6 Hospitality at the Masters! The first ever Bullseye Saturday Night Live is coming to the 2016 Masters tournament in the sunny, rolling hills of Augusta, Georgia! Get ready, because Bullseye is back with the all-new Gate 6 Hospitality events sure to make your mouth water and your neighbors jealous. 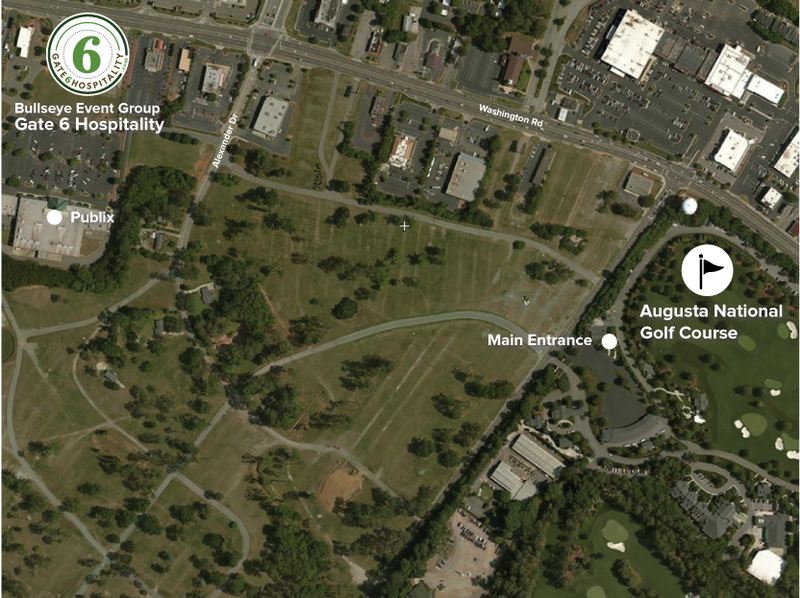 Starting with the practice rounds on Wednesday, Bullseye will be hosting the first ever Gate 6 Hospitality tent just minutes from Augusta National. The hospitality tent will be available from 7 a.m. ET to one-hour following close of the Masters, Wednesday through Sunday. The one-of-a-kind Bullseye Saturday Night Live at the Masters will be the place to wind down from the first three rounds of action, while simultaneously gearing up for the final 18 of Masters Championship Sunday. All hospitality events will feature an all-you-can-eat culinary experience and premium open bar, created by our star team that features chefs Aaron May and G Garvin. Tickets for the Gate 6 Hospitality opportunities are available now. Contact Bullseye Event Group at (317) 800-3280 for more information!